Note: This announcement was made by Energy Safe Victoria (ESV) and may also apply to a small number of heaters supplied in WA, SA, Tasmania, ACT and NSW. 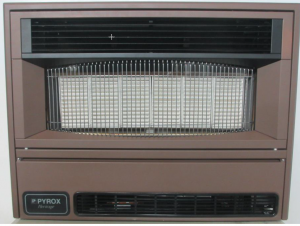 Anyone with a Pyrox or a Vulcan heritage gas heater should call Climate Technologies on (03) 8795 2462. Laboratory tests show that open flue heaters such as the Heritage may, under certain operating conditions, produce too much carbon monoxide if they are not properly installed and maintained. All Victorians with a Vulcan Heritage or a Pyrox Heritage gas space heater in their home need to get them checked by a qualified gasfitter immediately. The combination of inadequate ventilation as well as operating bathroom exhaust fans or kitchen range hoods at the same time as the heater can draw carbon monoxide into living areas. The risk is increased if the heaters and associated components such as the flue are not regularly serviced. If you have one of these heaters, don’t use it until it can be tested by a qualified gasfitter. Testing should also include the flue and checking for adequate ventilation. In the meantime, please use alternative sources of heating. Don't bring outdoor gas appliances inside such as a patio heater. This is dangerous and could also lead to carbon monoxide poisoning. The Department of Health and Human Services (DHHS) has a program in place to have all Vulcan Heritage space heaters or Pyrox Heritage space heaters in their properties tested. Phone DHHS on 1800 148 426 for more information. Contact the manufacturer, Climate Technologies, to arrange for a test of the heater and the installation environment by a qualified gasfitter (to be appointed by Climate Technologies). Climate Technologies will provide a $150 rebate towards the cost of this test. If a problem is detected, Climate Technologies will discuss a range of options with you, including servicing or maintenance of the heater, or increasing ventilation. If the heater needs to be decommissioned, Climate Technologies will contribute to the cost. Phone (03) 8795 2462 for more information. What is a qualified gasfitter? All registered and licensed gasfitters are issued with a photo ID card that lists the type of work they are allowed to do. All practitioners should carry this ID and you can request to see it at any time. Check that the qualified gasfitter is endorsed to service Type A gas appliances (their photo ID will include this information) and has the training to detect carbon monoxide spillage. You can also check if a gasfitter is licensed or registered online, using the Victorian Building Authority directory. ESV has established a number of failures with the product certification process. Open flue heaters like the Pyrox and Vulcan Heritage space heaters are old technology and are not necessarily designed to operate in better-sealed, newer houses that may have less ventilation. In most older houses, carbon monoxide can simply escape via the heater’s flue or chimney. They were first manufactured in 1977 and many have been replaced with different kinds of heaters. 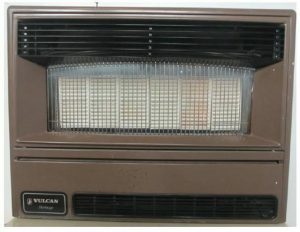 In addition to the testing and replacement programs in place, all Vulcan Heritage or Pyrox Heritage space heaters have been withdrawn from sale and their manufacturer has ceased production.